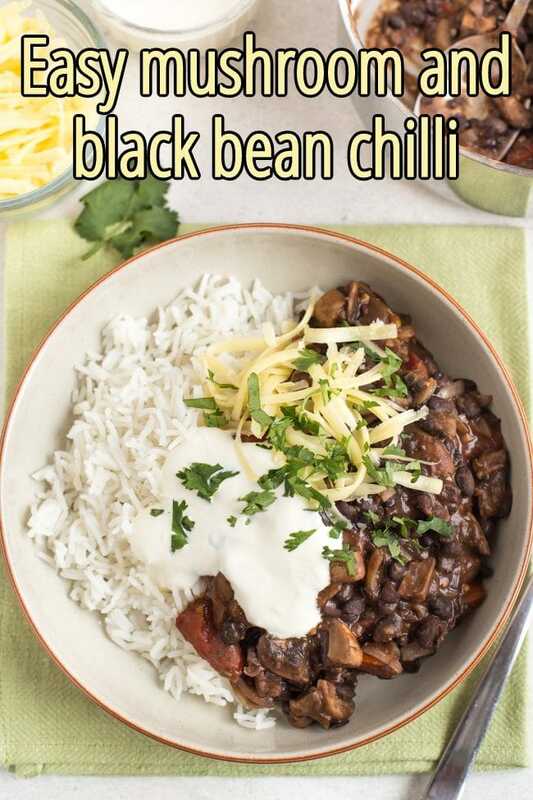 This mushroom and black bean chilli is perfect for students or anyone cooking for one - it's easy to make, with only a few ingredients, and makes two perfect portions. Simple and tasty! 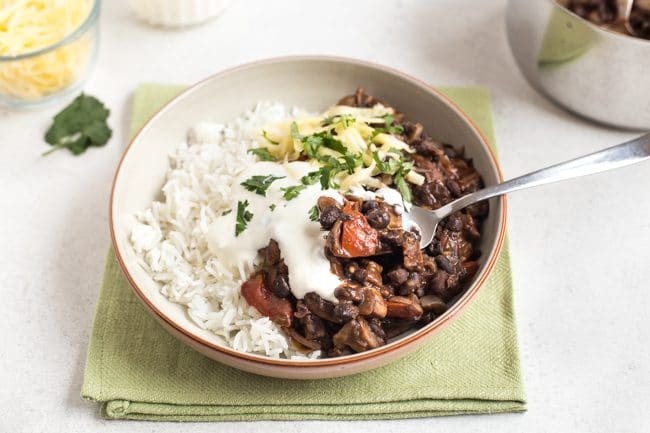 This mushroom and black bean chilli is perfect for students or anyone cooking for one – it’s easy to make, with only a few ingredients, and makes two perfect portions. Simple and tasty! I think I’m officially ready to admit that it’s autumn. The schools have gone back, the sun has disappeared, and I’m finally starting to look forward to cosy evenings curled up with some kind of warming autumnal dinner. 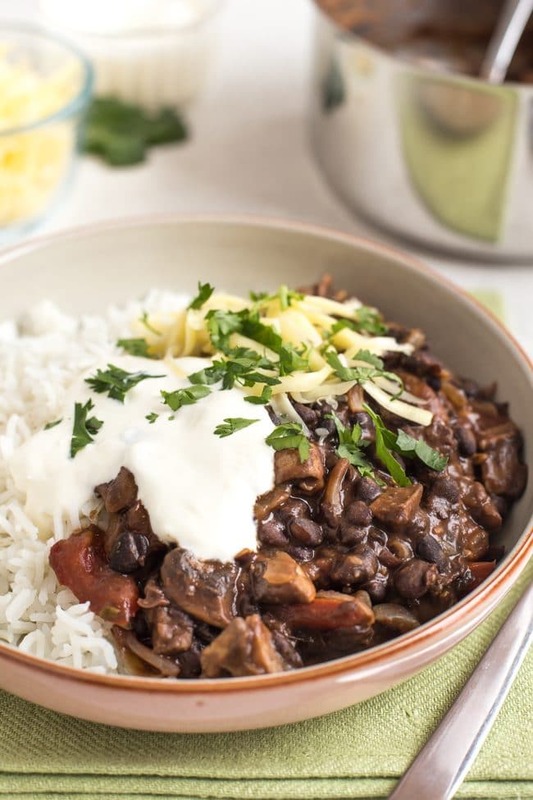 This mushroom and black bean chilli is a great place to start. 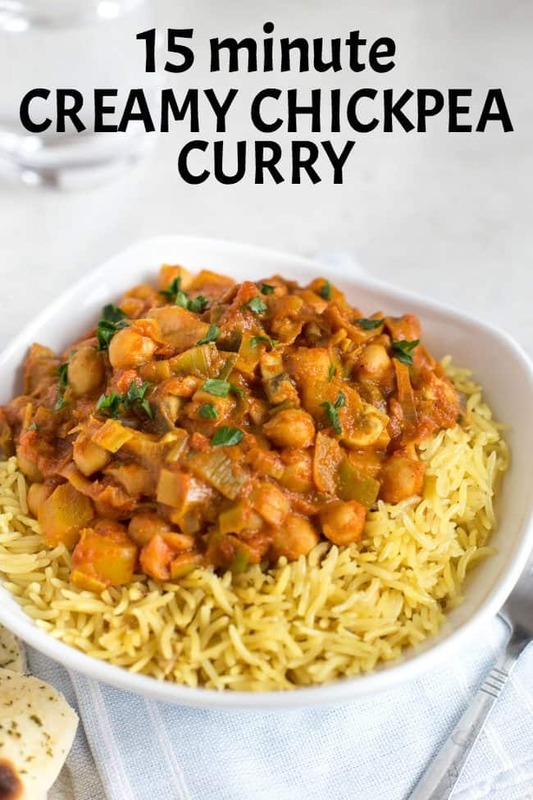 It only really has 4 main ingredients (plus a couple of spices), so it couldn’t be easier to make, but it’s rich and comforting – it’s surprising how effective simplicity can sometimes be! I pretty much learned to cook when I was at university. I may not have used my Psychology degree since the day I graduated (no, I can’t read your mind), but I have definitely used all those skills that came from cooking for myself for 3 years! And this is just the kind of easy recipe I wish I’d had when I was at uni. You don’t need a cupboard full of ingredients, or any particular cooking ability – just a few simple ingredients, and the strength to stir a spoon in a pan. The recipe serves two, so you can either cook for a friend, or just stick it in the fridge and have a portion left over for the next day (saves you cooking again!). It reheats really well – just add some fresh toppings and you’re good to go. 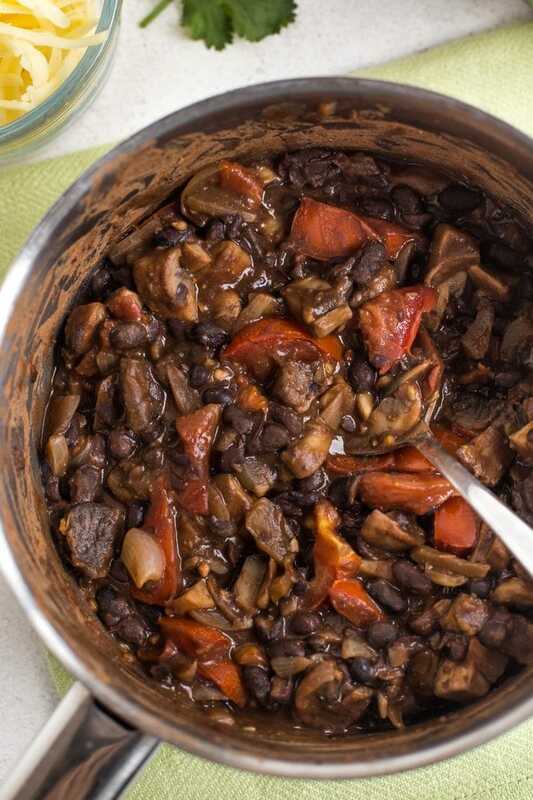 Mushrooms, black beans, onions, and tomatoes. That’s almost everything you’ll need to make this chilli. I did use three different spices in this mushroom and black bean chilli, but they’re the same spices I use all the time – smoked paprika, cumin, and cayenne. Literally, look at pretty much any of my recipes that use spices, and it will probably be these three… I’m not particularly experimental. You can keep them in the cupboard, and they’ll see you through all kinds of recipes – it’s definitely worth the tiny investment of a few decent jars of spice to lift your cooking to the next level! Feel free to add some extra veggies to this chilli if you have something in the fridge that needs using up – maybe add a chopped pepper along with the mushrooms, or a handful of spinach along with the tomatoes. Chilli is a great fridge-clearer! 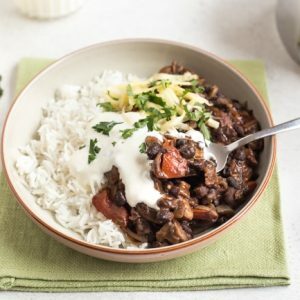 One of my favourite things about a good chilli is that it can be served in all sorts of ways, so even if you have leftovers, it doesn’t have to feel like you’re eating the same meal again. Serve it in the classic way, in a bowl with rice. Make a chilli burrito by wrapping it up in a big flour tortilla. Spoon it over tortilla chips for chilli bean nachos! Even add it to hot dogs or burgers to make them extra special. Whatever you do, just don’t forget plenty of cheese and sour cream on top! Heat a dash of oil in a saucepan, and add the onion. Cook for a few minutes over a medium heat, stirring regularly, until the onion is soft and translucent. Add the mushrooms and garlic, and cook for a further 5-10 minutes, until soft. Add the tin of black beans, the spices, and the crumbled stock cube. There should be a bit of moisture in the pan from the mushrooms, but you can add a tablespoon or two of water if needed. Allow to cook, stirring occasionally, for at least 5 minutes, until the mixture looks thicker and richer. Add the diced tomatoes, and season to taste. You can also add some extra spice if needed. Cook for a few more minutes, until the tomatoes have softened. Serve with your choice or sides and toppings - I used rice, sour cream, grated cheese, and chopped coriander (cilantro). Thanks so much Carol! There are only two of us here (plus the baby, who actually eats nearly as much as we do…) so I like smaller batches of things too! This dish looks and sounds so delicious. I must try, thank you for sharing. Just tried this and was very delish. The perfect amount for 2 people and tastes great on a baked sweet potato. I did also add some finely chopped spinach and kale just to get me some extra greens in. Because it was a fine shred, it didn’t change the flavours too much. It have gave it a je ne c’est quoi. In a very long winded way, I’m saying it was really tasty! I’ve recently become vegetarian and I was really missing a bolognese /chilli / lasagne type dish. But NOW! This is so delicious. We’re putting it in wraps with spinach leaves, tomatoes, greek yog and cheese and it’s a dream! I am making this tonight! Hooray! I know you made this during the summer, but here in December of 2014, this will warm us up NICELY. Just made this and it was absolutely fantastic! It took about 15 minutes longer to cook off the water so the chilli was of an acceptable consistency, but it was one of the nicest meals I’ve cooked in a while. I also added smoked tofu to the recipe and sprinkled feta on top afterwards! Ironically, we are having this kind of weather too at Melbourne, Australia being the other side of the world. We are having winter now and having this kind of weather is not surprising at all for us… but I was quite surprised to see this at your summer season. 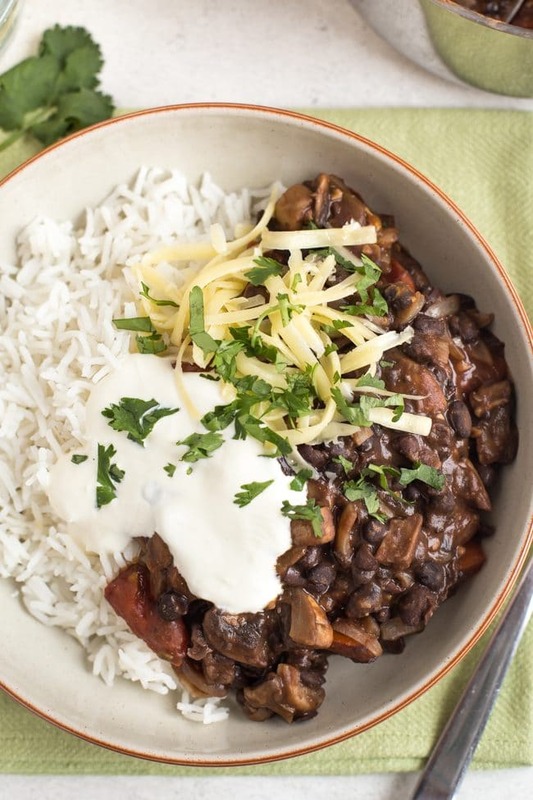 Your mushroom and black bean chilli sounds very comforting to eat for your and my kind of weather. I don’t care if it is 90*F (32*C) here, if it involves mushrooms I will eat it. This sounds amazing. Looks great! I have to try it someday soon. Probably, you would love the view from my window… It’s sunny like I’m living in the middle of the hell and it’s no always like that but… Almost. XD So, I guess it’s true that everybody wants what the don’t have beacuse I really would love to see rain!!! Aww, so sorry to hear about your dreary weather! BUT I’m really glad it gave you the opportunity to post this lovely chilli. It sounds delicious!